Meet the perfect allrounder - 600ml insulated bottle in striking Orange and Grey. Can be thrown into your handbag, gym bag, school bag, back pack etc! Exclusive to Cheeki, each single wall and insulated bottle in the Classic Range is now fitted with a specially created Silicone Shield that wraps around the lid’s base to ensure drinking water never comes into contact with the plastic of the bottle’s lid. Each bottle looks extra smart with the embossed "Refill Recycle Reuse" design along the side. Check out the single wall range too for extra lightweight bottles. Bottles are totally leak proof. Handwash bottle. Dishwasher friendly lid. BPA Free bottle and lid. Take your Cheeki product and any accessories out of the box and give them a wash with warm soapy water. Rinse all parts well, fill it with your favourite drink and enjoy! Clean your product regularly with a small bottle brush and water. Regularly clean it well. Regular white vinegar is excellent for removing staining and cleaning the inside of your products. Shake a couple of tablespoons of household white vinegar around the inside of your product and leave for a couple of minutes. Rinse well. Remove stubborn stains: Mix two heaped tablespoons of baking soda with warm water and use on your brush to clean the inside of your product to remove stubborn staining and discoloration. Rinse well. Only use boiling or chilled liquids in the Cheeki insulated bottle. This is the vacuum-sealed, double-walled bottle. Put your products in the dishwasher. Whilst Cheeki products are tough and durable, they are not dishwasher safe. The high temperatures and chemicals in the detergents will affect the non-toxic varnish and paints on the outside of your products. Freeze your Cheeki Bottles. The contents will expand and distort the bottle. Instead you can boost your chilling by putting ice cubes inside your bottle. Soak, wash or fill your products with boiling water. This will affect the non-toxic varnish and paints on the outside of your products and may cause them to discolour and distort. Only Cheeki insulated bottles can hold boiling or very cold liquids. Apply direct heat your Cheeki products in any way. Chemicals such as bleach or chlorine will detrimentally affect the inside and outside of your Cheeki product as well as our planet. Founded in Freshwater, Australia in 2009, Cheeki is now Australia’s leading brand of reusable products. 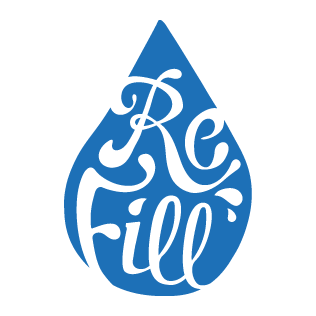 It was established with the mission of supplying a healthy, fun and environmentally responsible range of reusables for today’s world. Cheeki’s wide range is suitable for all seasons and includes; water bottles, insulated bottles, shakers, flasks, coffee mugs and food jars. Cheeki products are manufactured from Premium Food Grade stainless steel with no inside lining, non-toxic inks and are BPA-Free. All products pass the SGS Test and are USA, FDA and Germany LFGB accredited.